Since I moved to Antwerp, and don't need to drive hours to get to work, I have decided to use some of that time to write one Tolkien article a day. Hope you all like this. Of course during the week I keep one eye on the news and some items did interest me but did not make it into a blog post yet. So I'll use Sunday to tell some more about all interesting articles I discovered last week and wish to share with you. So here follows a round-up of all news items I noticed last week that might be of interest to any Tolkien fan. Also some ideas and thoughts for the future will be posted every Sunday. In the end this year Tolkien Library will exist 10 years and I hope to make it a year to remember. Don't know if I will keep up all the posting and writing, but every day there is something new to tell - and I'm certain there are many Tolkien fans out there who will wish to aid me in my quest to make this website even better. I have been thinking to make a post, every 1st day of the month, where I will offer for download some nice Tolkien related desktop wallpaper calendars. 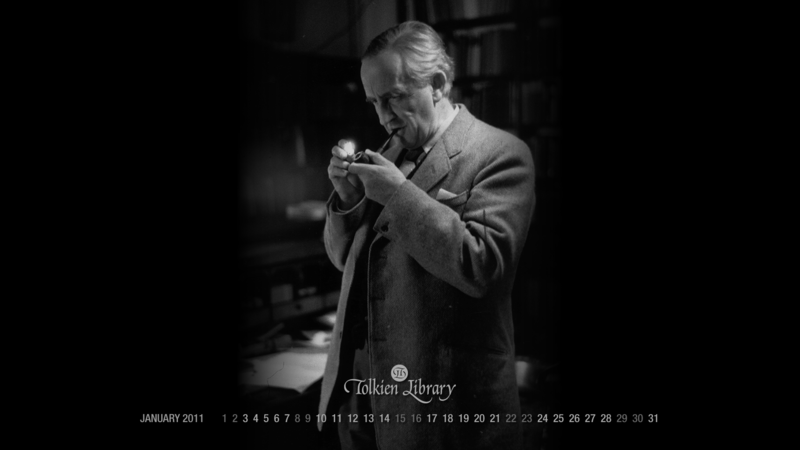 For example next month is february and so wall-papers should somehow reflect the month february and of course have a Tolkien related subject. The idea comes from Smashing Magazine. Who would be interested in this and are there any artists out there who want to sent in their creations. Of course a link will be added to the creator. Let me know what you think and if there is any interest in this! To start here is a Tolkien wallpaper for January 2011. While this interview with Walter Hooper was done in October 2009, I only found it last week. It is very interesting to read how he became secretary for C.S. 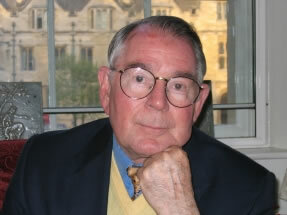 Lewis, assisted Owen Barfield as a literary trustee to sift through Lewis’s work and devoted the next forty-five years of his life to editing and keeping Lewis’s works in print. He was friends with many members of the group known as the Inklings which included such notables as J.R.R. Tolkien, Charles Williams, Owen Barfield and Lewis himself. I believe this interview by Mark Neal will be enjoyed by any Tolkien lover. Some former students of Dr Dimitra Fimi's excellent Tolkien Myth and Middle Earth in Context through the University of Wales (UWIC) have banded together as a group called the Tolk-lings to start a chapter by chapter exploration of the twelve volume bedrock of Tolkien scholarship The History of Middle-earth. 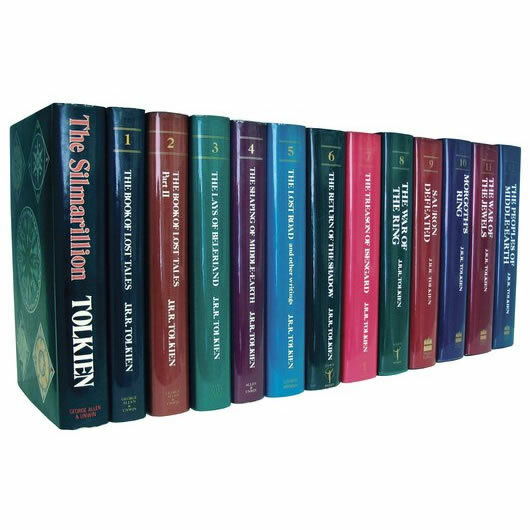 Christopher Tolkien's twelve volume History of Middle-earth series is a very important source for charting the develpement of Tolkien's legendarium from its genesis in 1915 to his final works in the 1960-70's. This group's objective is to read one chapter of HOME a week starting with the early versions of the Legendarium in The Book of Lost Tales and discuss the the themes and narrative content of that chapter and how it links to the overall development of the legendarium. All are welcome to participate and explore! The following news I found quit incredible and interesting. It is a dream for any Tolkien scholar! David Rozema, professor and director of the philosophy department, has been awarded the first Inklings Chair of Philosophy and Literature at the University of Nebraska at Kearney. The chair is made possible through a $500,000 endowed fund given by an anonymous benefactor to the University of Nebraska Foundation. The chair is named after a group of 20th-century thinkers and writers at Oxford University who became known as The Inklings, which we all know members included among others C.S. Lewis, J.R.R. Tolkien, Owen Barfield, Charles Williams and Hugo Dyson. "The example set by the members of the Inklings constitutes a high ideal of intellectual and spiritual maturity, which serves as a goal for our efforts as teachers and scholars," Rozema said. "I consider myself a student of these men." You might recall my articel The rise and fall of Isildur - a game of poker. Last week the tale took an unexpected turn. One of the longest mysteries that gripped the online poker world this past year has been the identity of an anonymous poker pro, known only by his moniker Isildur1. Very few facts were known about the player – only that he hailed from Sweden and that he was a very, very gifted poker player. 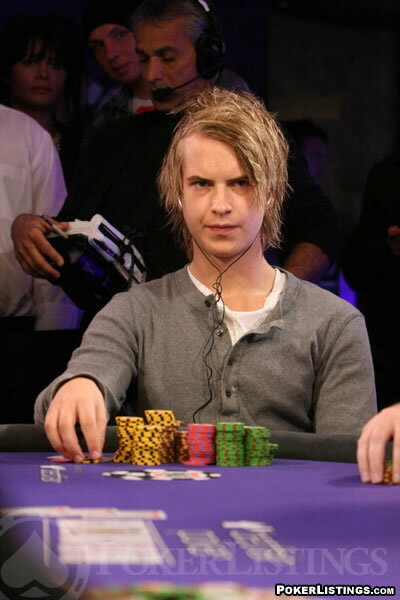 Since Isildur1 started playing highroller poker games against some of the world’s greatest players, rumors began to circulate that he was none other than the reclusive Swedish wunderkind, Viktor Blom. This week Viktor Blom finally decided to come out as Isildur1, making an end to the mystery. 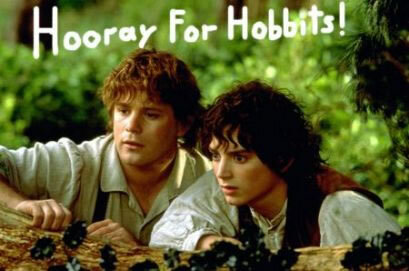 So far I have not written any The Hobbit news here, since it is just not my thing. But if anyone feels to make a monthly or weekly contribution about it, I'd be happy to post the news on the website.